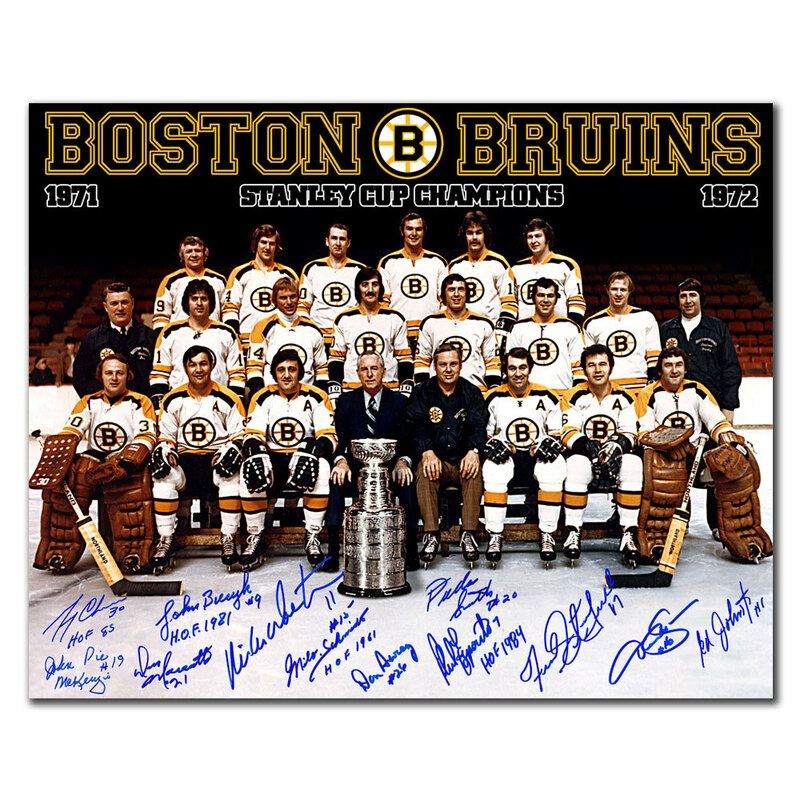 This is a hand signed 16x20 photo by Gerry Cheevers (HOF), Phil Esposito (HOF), Johnny Bucyk (HOF), Milt Schmidt (HOF), John Pie Mackenzie, Ed Johnston, Mike Walton, Dallas Smith, Don Marcotte, Fred Stanfield, Don Awrey & Derek Sanderson. At SPORT AUTHENTIX INC. we guarantee the 100% authenticity of our products. Each signed piece of memorabilia comes with a hologram and a Certificate of Authenticity (COA) from SPORT AUTHENTIX INC.. This certificate is your assurance that the accompanying item has been personally autographed by the sports personality listed. We take tremendous pride in offering the highest quality of genuine sports memorabilia.